Men's Flex Pants Just $16.99! Down From $75! Shipped! 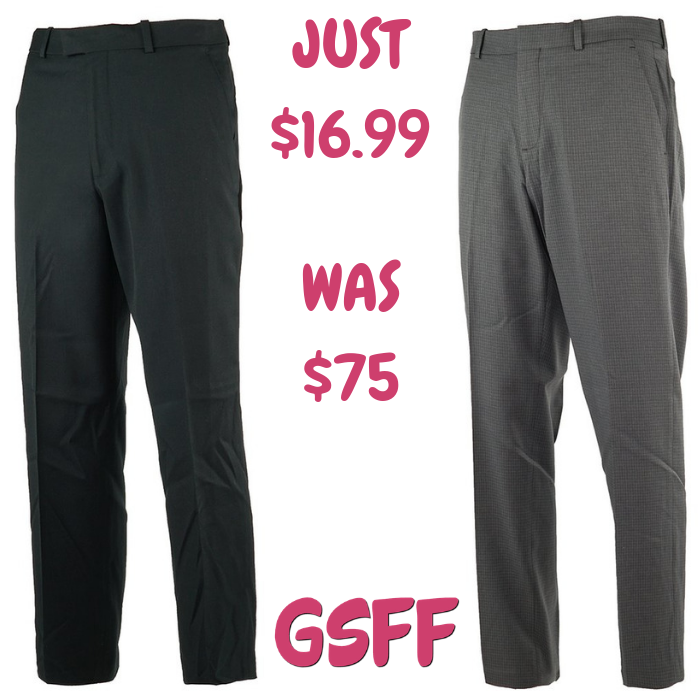 You are here: Home / Great Deals / Men’s Flex Pants Just $16.99! Down From $75! Shipped! Men’s Flex Pants Just $16.99! Down From $75! Shipped! At Proozy, you can score these Men’s Flex Pants for just $16.99 down from $75 when you use promo code PZY1699 at checkout PLUS FREE shipping! A staple in the Perry Ellis Portfolio Collection, these flex pants are crafted from a durable, classic fabric that sticks out among the herd. These pants give you comfort and insulation during a sunny day or a cool evening. The hidden waistband lends added mobility, and the worsted fabric creates a subtle, lustered finish that turns heads without being too flashy making you look sophisticated without the high maintenance, our Sharkskin collection is a staple for a reason.